Hong Kong Yiquan Society, photo taken in 1987. 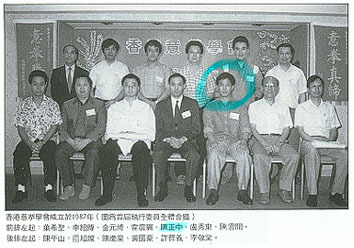 Master Chen Zhengzhong (Chan Ching Chung),is seated in the front row, third from right (circled). 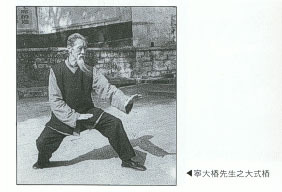 Master Chen is the student of Chen Zhaokui in Chen Style Taijiquan and Ning Dazhuang in Yang Taiji and Yiquan (I-chuan). Chen Zhengzhong is from Wang Xianzhai's linage. He is also the Vice-President of the Hong Kong Yiquan Society. 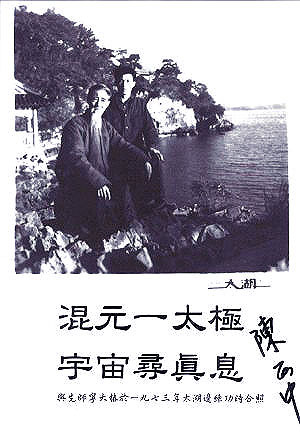 Photos of Master Chen Zhengzhong (Chan Ching Chung), Ning Dazhuang (Ning Dai Chun),Wang Xiangzhai can be seen in the Yiquan book (ISBN 962 257 720 2) written by the Hong Kong Yiquan Society. See picture above. For information about Yiquan in Traditional Chinese (Big5), click on Yiquan Association in Hong Kong.